Technical and practical information about drivers education was on the menu April 13 at a tech session hosted by CS Motorsports. Read the story here. The first Cars and Coffee event of the season was held in early April. The lingering cold and salt-laden roads kept many sports and muscle cars in their garages but there were enough cars to make it interesting. Details here. This event occurs the first Sunday of the month through October in Lake Mills, Wis. Don't miss it. 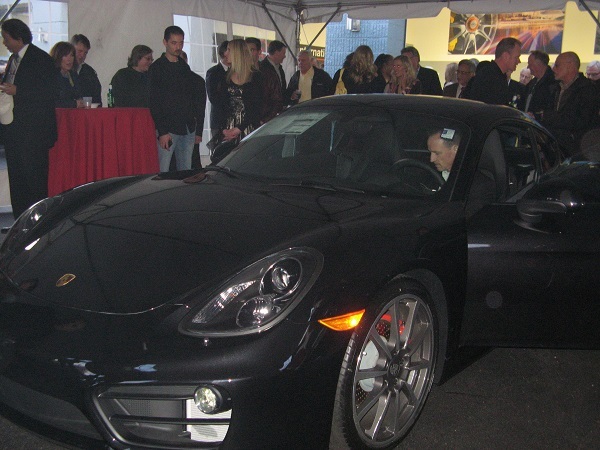 International Porsche-Waukesha hosted a Cayman Reveal party to show off the new 981. Details here. The April Coffee Travelers were an exclusive group. Details here. Mark your calendar and check the region website for updates on these and future events. 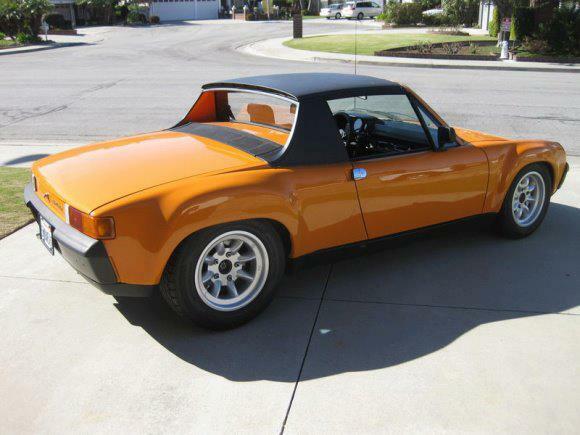 May 2 - Concours Motors, Glendale, open house. Details here. May 4 - Spring clean up at Porsche Park, Road America. Help us get the park in shape for the upcoming season at RA. Details here. 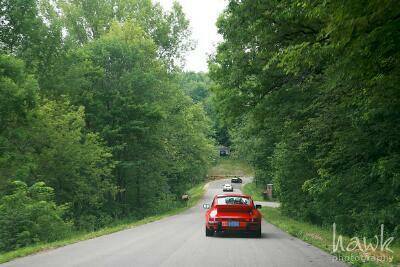 And, when you are attending an event at Road America, be sure to park your Porsche in Porsche Park. Your car will be in good company. May 5 - Cars and Coffee, Lake Mills, Wis. Hosted by 2 Shores International. May 18 - Coffee Travelers will meet at International Autos - Porsche, in Waukesha. The new Cayman will be on display for your close inspection. Join us for good conversation. 2230 E. Moreland Boulevard, Waukesha. Start time: 9 a.m.
May 17 - 19 - Three-day weekend driving tour to Galena, Ill. Michael Elliott is our tour leader. Details here including hotel reservation number. May 18 - Waterfalls tour. Milwaukee Region members are invited to join Fox Valley Region members who will spend a day touring the many spectacular waterfalls in the U.P. Several Milwaukee Region members have joined in this event in the past and highly recommend it. Flip a coin -- U.P. or Illinois. Two tempting options on the same weekend. Details here about the Waterfalls tour. May 31 - DE Instructors training and solo DE event. Details here. Registration is open now at www.motorsportreg.com. Cost is $275. June 8 - Milwaukee Region driving tour. Details here. Brothers Jay and Lee Heppe will lead us on another great day of driving. The region's Spring tour will start in Delafield and head to the beautiful rolling hills near Spring Green, Wis.
June 8 - Ladies driving tour. Ladies, grab the keys to the Porsche -- yours or his -- and plan to join the Fox Valley region for the annual driving tour. This is an all-day event. Details here. For those interested in a group drive to Parade, plans are being made to meet Saturday morning, June 22, and take a scenic northern route through the U.P., across the Mackinac Bridge to Traverse City. A photo-op stop at Lambeau Field is being investigated. Additional details will be forthcoming as the date approaches. July 6 - Region rallye. More details coming from Pat Fowler. A message from region membership chair Donna Daufenbach. In the first three months, Porsche delivered 37,009 vehicles to customers the world over – an increase of 21.1 percent compared to the same period of the prior year. In March, the sports car manufacturer achieved over 14,000 deliveries for the first time in its company history. Porsche registered a heightened customer interest in the rear-engine and mid-engine models on the Chinese market: one third more Boxster, Cayman and 911 vehicles were delivered in the first quarter of 2013. All in all, Porsche sold 8,844 cars in China during this period – an increase by one fourth in comparison to the first quarter of 2012. At the end of the month, the new generation of the Panamera – with which Porsche launches the first plug-in hybrid worldwide in the luxury class – will have its world premiere at the Auto China in Shanghai, which opens on April 21, 2013. The demand for the 911 continues unabated: from January through March, Porsche delivered 7,230 models of the sports car icon – an increase of 18.6 percent compared to the first three months of the previous year. The Cayenne also continued to expand its market position: Around 20,000 vehicles of the sporty SUV have been handed over to customers so far this year. More news...An interesting story of a 917 rarely seen...thanks to Ron Pace for the link. And Al Wagner provided the link to this video about Porsche design. Watch it here. Porsche's YouTube channel. Bookmark it here. Hurley Haywood tells the story of his win in 1973 at Sebring in a Carrera RS. Listen to the master. 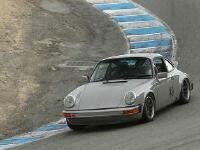 And Rick Zinda found this article about a new driver for the Porsche racing team. 911 vs. Jaguar....check out this video. Marc Abernathy was at the previously reported winter autocross, too. Here's his video. Check out the latest classifieds here. Classifieds are updated regularly whenever new ads are received. You can find the names and contact information for region officers, directors and committee chairs online here. Need to find another member? Look at the Resources tab and select the Members Only link on the page. If you do not know the password to get into this section, please send an email to the webmaster: beverly.jurkowski@sbcglobal.net requesting the log in. By the way, this is not the log in you use to access the national website.